Books must compete for eyeballs like never before. Entertainment alternatives are practically endless, between filmed home entertainment options, downloadable video games, social media, and other internet content. A recent American Time Use survey from the Bureau of Labor Statistics reveals that leisure reading is at an all-time low and continuing on a downward slope. This trend poses a challenge for an organization like the Atlas Society, whose mission is to promote objectivist ideas and make them discoverable within their original medium: books. A further challenge is posed by the fact that readers are trending away from fiction toward nonfiction. While Ayn Rand wrote plenty of nonfiction, it’s typically the dramatization of her ideas that draws in new readers. Most objectivists are introduced to Ayn Rand through her fiction. Statistically speaking, the movement away from reading—and away from fiction, in particular—has negative implications for the continued discovery of objectivist ideas by new readers. One promising solution to this problem lies in the venture into alternative media: the adaptation of Rand’s works, or the creation of new stories with objectivist themes, for consumers craving something other than a traditional reading experience. That’s exactly what Jennifer Grossman accomplished with her adaptation of Ayn Rand’s Anthem as a graphic novel, with illustrator Dan Parsons. As a medium, the graphic novel’s historical roots date back to the mid-1800s. In the 1940s, Albert Kanter created Classics Illustrated, a series of comic book adaptations of eminent classics like Les Miserables and The Iliad. 1938 saw the popular introduction of Superman, the leader in a wave of superhero characters who have since achieved iconic status in American culture. The graphic novel medium has evolved a strong association with adventure, and with plots featuring individuals of extraordinary ability who bravely defend against threats to life and other values. As a result of the relationship between dialogue and illustration in this medium, physical action and movement emerge as desirable elements of a graphic novel. Without these, the pages would produce an impression of sameness, even in the presence of dramatic (but nonphysical) movement within dialogue. Many stylistic visual variables come into play: the use of color, shading, positive and negative space, sizing, placement, borders, perspective, and more, which collectively offer a view into the workings of an artist’s consciousness. Prometheus and Gaea are illustrated as the physical essences of masculinity and femininity. With a robust physique and clear lines of musculature, Prometheus’s character embodies the Greek ideal, bearing resemblance to Hercules, or Achilles, or a young Zeus. Gaea has the look of a goddess, with long, flowing hair and soft features reminiscent of classical depictions of Aphrodite. Parsons does a remarkable job of capturing the male and female physical ideals in their full radiance and in a style befitting of a graphic novel. Stylistically, the adaptation makes effective use of visual montage to show the progression of time and discovery. For example, Prometheus and his love (the “Golden One” who becomes “Gaea”) must learn to adapt to life in the forest; this process is depicted in one box, wherein elements of hunting, fruit picking, fire building, and self-defense are woven together in a single assemblage. The most emotionally impactful use of montage occurs at the very end, as we see into the consciousness of Prometheus while he envisions various stages in history in which man’s freedom was stolen and restored. The standard black bordering around each box is replaced with chains. In these boxes we see some of the darkest moments in history: enslavement, internment, and massacre; but we also see symbols of hope—the face of Abraham Lincoln, the Statue of Liberty, the Declaration of Independence—whose emotional crescendo builds toward the final scene in which Prometheus vows to change the world, and carves a single word as the banner of his vow. It is this word that gives man his reason for life. 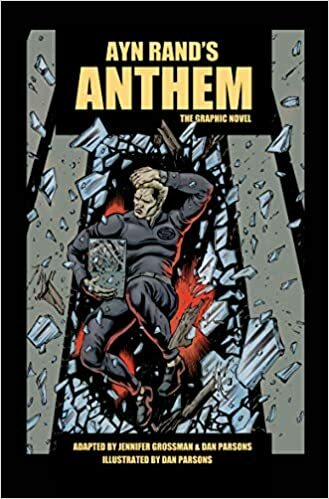 The graphic novel adaptation of Anthem gives readers a different but nonetheless delightful and enriching experience. Its creation is an accomplishment worthy of celebration, and represents a foray into new media for objectivism—a promising way to help new minds discover Ayn Rand’s philosophy of reason, purpose, and self-esteem. 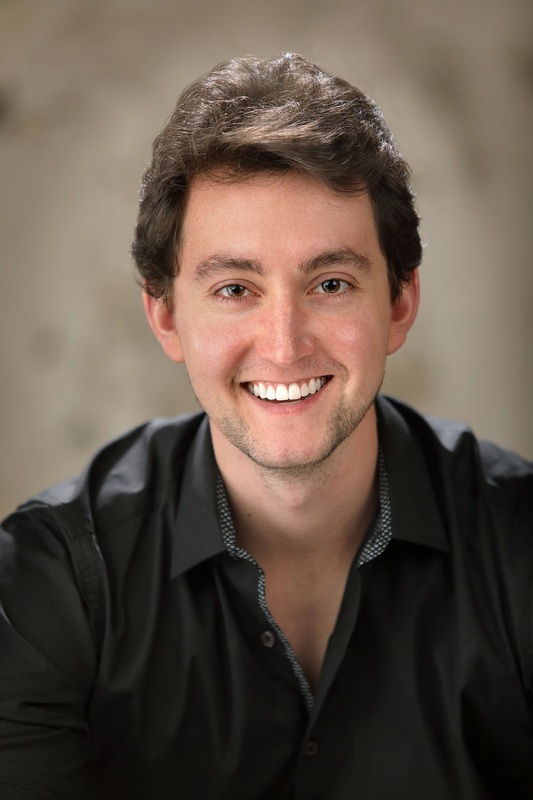 Matt Cook, Ph.D. is an economist, bestselling author, and composer based in Los Angeles. He founded Braveship Media, an entertainment consulting group, and US Common Sense, a government transparency organization whose data and research have been used by almost every major news source. He currently works in private equity and is a frequent university guest lecturer. He earned his bachelor's and master's Stanford University and earned his doctorate at the University of Pennsylvania.